I am one of those people who can recall at least one dream per night. Normally, they are very stressful: being chased and not being able to run, flying in planes that are dangerously close to the ground (usually in Russia), being pushed off the side of a mountain, getting married without makeup...it's no wonder I wake up so refreshed. Not. Every so often, though, I have one of my recurring dreams that are actually pleasant. I kid you not, I dream that I am friends with Martha Stewart. We chat, we get ready for dinner parties, we take boat rides...and in my most recent Martha dream, we went to Macy's for an Ina book signing. 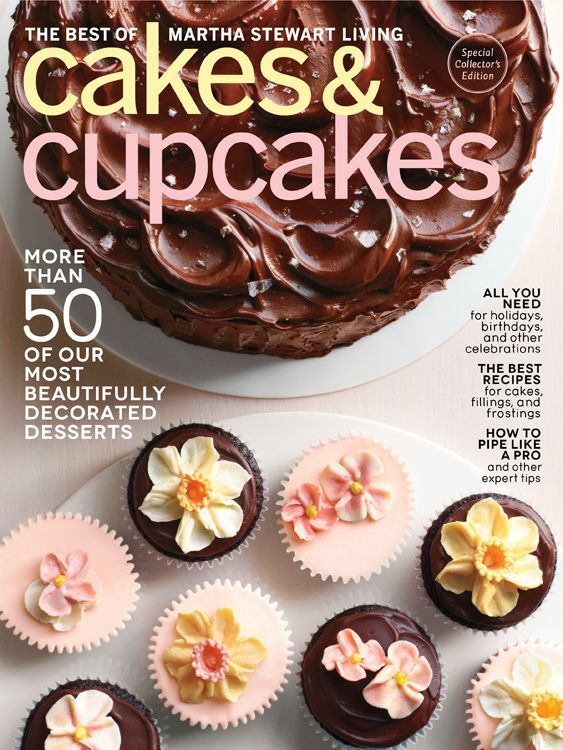 I'm pretty sure my next dream about Martha will involve this publication: The Best of Martha Stewart Living Cakes & Cupcakes. Maybe you've seen it on your newsstand. It's a special edition available through May 13th. It is just absolutely gorgeous. Every idea, every recipe, every photo...even the paper it's printed on. Beautiful. Martha's 3-tiered cupcakes are featured there...and they've always been a favorite of mine. I decided to make a cookie version. Combine sugar and egg whites in mixer bowl, and set over a pan of simmering water. Whisk constantly until sugar is dissolved and mixture registers 140 degrees on an instant-read thermometer. Transfer bowl to mixer; whisk on medium-high speed until whites are fluffy and cooled, about 10 minutes. 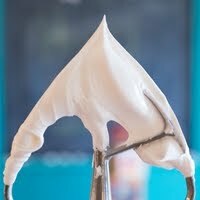 Continue to whisk until stiff, glossy peaks form. Reduce speed to medium-low; add butter by the tablespoon, whisking well after each addition. Whisk in vanilla. 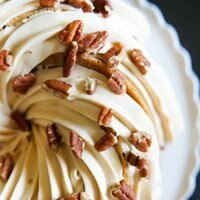 Buttercream can be refrigerated in an airtight container up to 3 days or frozen up to 1 month. Bring to room temperature before using; beat on lowest speed until smooth, about 3 minutes. 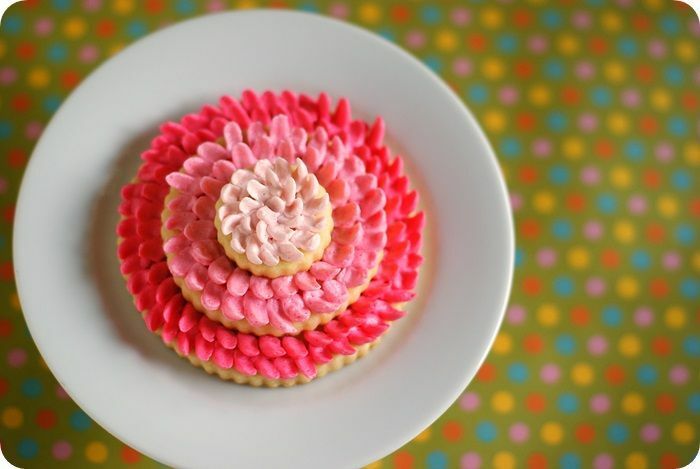 scalloped circle cookie cutters: 1 & 1/4", 2 & 1/2", 3 & 1/2"
Yay! First one to comment!! 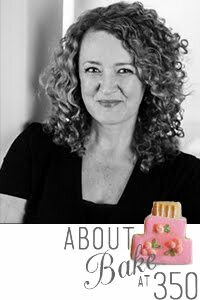 I love your bloga, your ideas and everything about your blog! Your the best!!! These are so beautiful and springy! 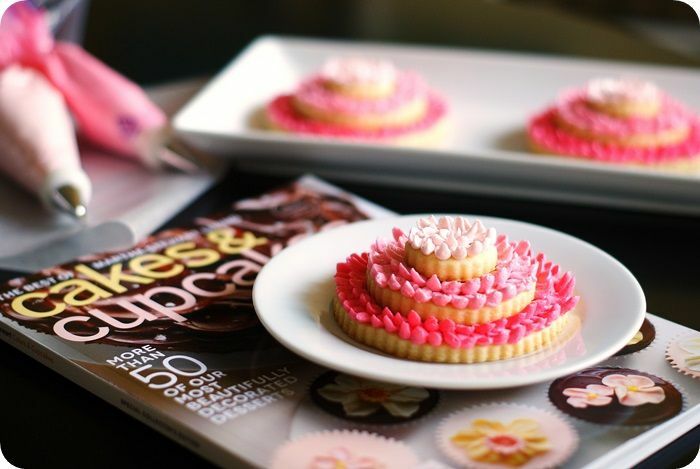 I think they might just be prettier than the cupcake version! Shhh don't tell Martha in you next dream! 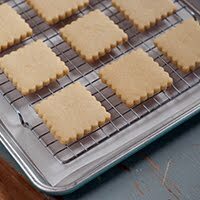 Please forgive this novice question: When making your go to sugar cookies, do you reroll the scraps? My momma always did but I was wondering if you recommended it. Thanks for the tip, Bridget! You and Ree are my virtual BFFs so I totally understand you and Martha being dream BFFs! Your cookie is so beautiful! I can see it at a wedding or special event. And I love Martha! I've seen this magazine and it's classic Martha - so beautiful! I've seen the magazine and now you've convinced me, the tiers are too cool! These are perfect gift idea for a spring birthday or wedding. Lovely work! I've had that dream too. Maybe we're all big buddies in dreamland? Oh I LOVE these! And girl, what are you doing in Russia? I don't think I have the patience for these, though. . .
Umm I LOVE that you have dreams about Martha! I have had the same one with Ina... we're getting ready for a dinner party together and having the best time! 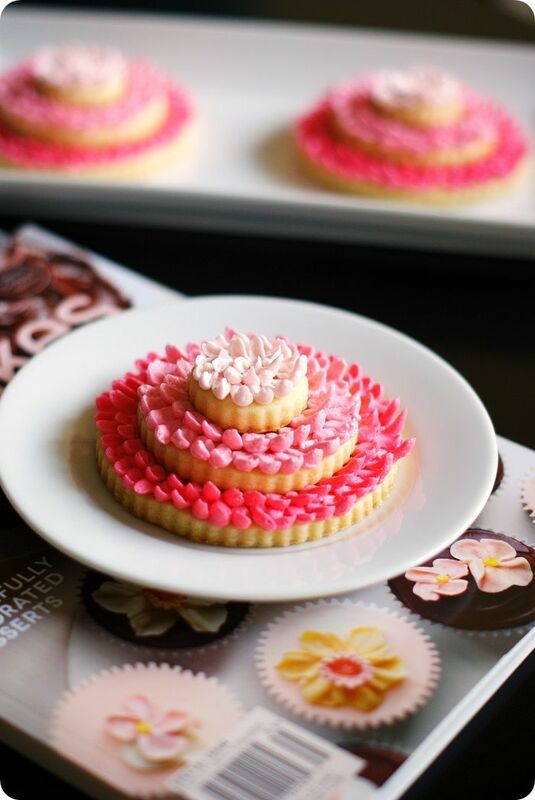 :) These cookies look absolutely fabulous! Way cute! These are so pretty, Bridget! 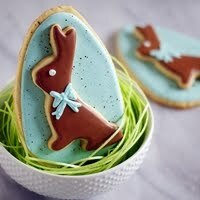 I love these cookies, so cute. I love these! Your work is amamzing! Martha has nothing on you! OMG... these are stunning! Look out, Martha, here comes Bridget! This post made me lean back and laugh out loud! Martha, Ina, Russia, weddings with no makeup -- so so funny. At least you have clothes on in your wedding I hope. I have a lot of dreams where I'm naked, mostly in school but other places too where I should be clothed (which is everywhere basically). What Freud could do with us! Thank you for giving us a peek into this now magazine/book. 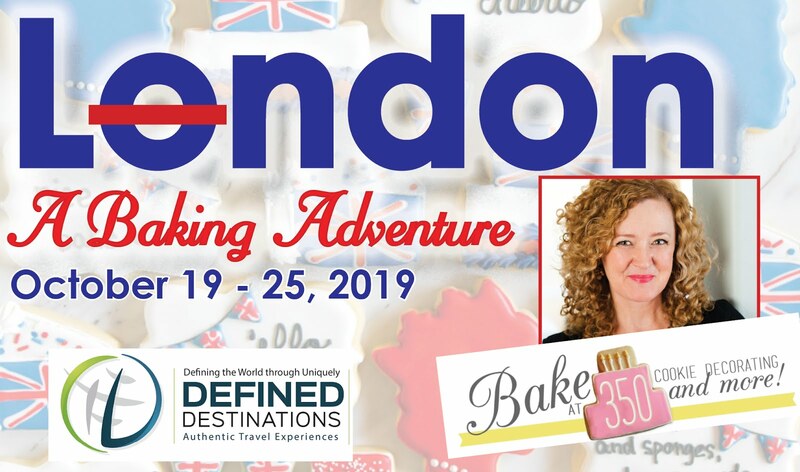 a Wilton tip? You did a fabulous job....too pretty to eat. Meant to say "new" magazine not "now"
I totally dream about being BFFs with Ina Garten. I thought I was the only weird one who dreamed about hanging out with food celebrities, so I'm glad to hear I'm not alone! Simply gorgeous!! These are worthy of a special occasion, although I might eat mine just to celebrate Friday! Great job! Love your cookie version! I made a decision to stop buying so many books ... darn Martha ... there goes my self discipline! you have beautiful ideas and your way of presentation is amazing! after reading your post, I ran out to get martha's mag - beautiful! Thanks for sharing and thanks for your wonderful cookie version. 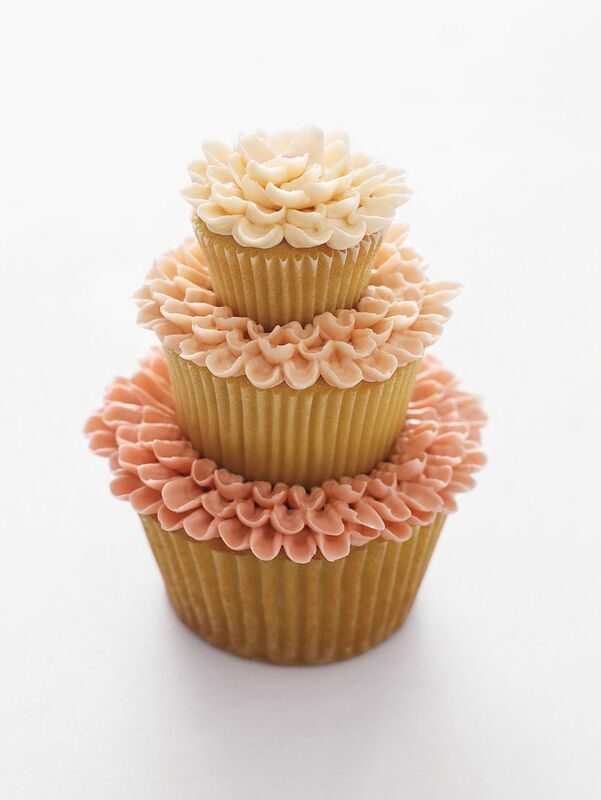 These are so dainty and perfect for a Sweet 16 or Bridal Shower. Very creative. I love your blog and all that you share. I get so angry seeing how some people think it's ok to push their products on other bloggers (with big followings) posts. Isn't there so way you can delete them and the h*ll with free speech in their case. Almost too pretty to eat.....almost! I'll look for that magazine. 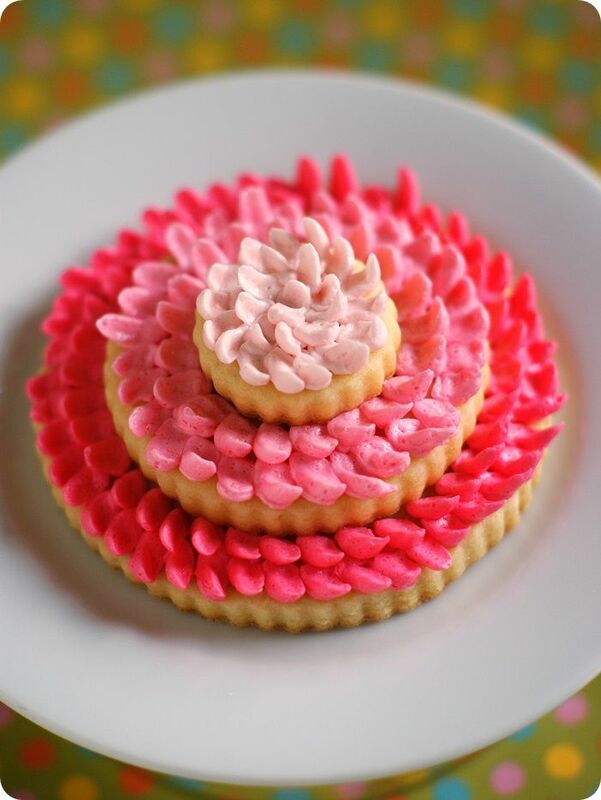 Your cookie version is beautiful! Beautiful cookies and the colors are so pretty. Im so the opposite.......I can rarely remember a dream, and when I do, hardly any details. Usually something like, I was in a plane crash, then I was running thru the woods. I love your Martha cookies B!! 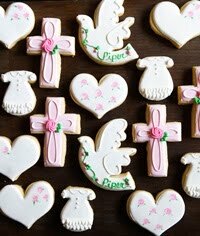 These are cookies are just lovely! Seriously gorgeous!!! I love your take on them, I would never have thought of that! 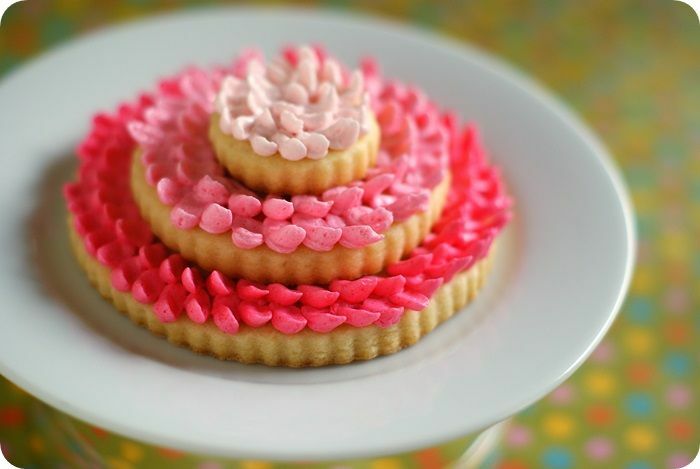 I Love your cookie version better:) So pretty in pink! I won this publication in a giveaway:). Totally a-freakin'-dorable. And that swiss meringue makes my heart sing. Her swiss meringue is my alllll time favorite too!!!! You and Martha are dream Bff's..too funny! I finally tried to make SMB because of this post...I've been intimidated to do it before but I love it so I'd thought I'd bite the bullet. It was awesome and not as hard as anticipated. Chocolate mint cupcake with this as a mint frosting worked out wonderfully. Thanks from a fellow TX baker. 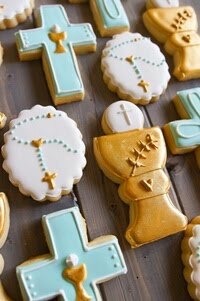 Those cookies look so gorgeous!! And your photography's fantastic! :D I'm definitely going to look for that magazine next time I'm at the store. I made Swiss Buttercream for the first time last night, and the consistency was like Mousse...is that the way it should be? Or should it be a little thicker? I am so used to the thicker consistency of American Buttercream.